As your business grows you have to make many decisions around hiring employees. Bringing on employees brings on an entirely new set of challenges, and highlights challenge areas in your business you never realized you had. Joanna Wiebe, founder of Copy Hackers, shares the struggles and challenges she endured with her hiring process. The struggle to hire the someone who won’t sleep on the job, to the challenges of training and building a cohesive team. Joanna is a joy to talk with and this is a conversation to listen to, even if you never plan to hire an employee. How she put off hiring anyone after being burned by her first hires. Writing a blog is a lot more work than most people think. How her first hire fell asleep on the job, literally. The emotional struggle she faced when firing him, and the time it took time to recover. How she tried to live with only virtual assistants and the constraints that placed on her. Why she should’ve hired someone immediately and what stopped her from making that decision. Why she thought just doing it herself was the right thing, even though is could be deadly. 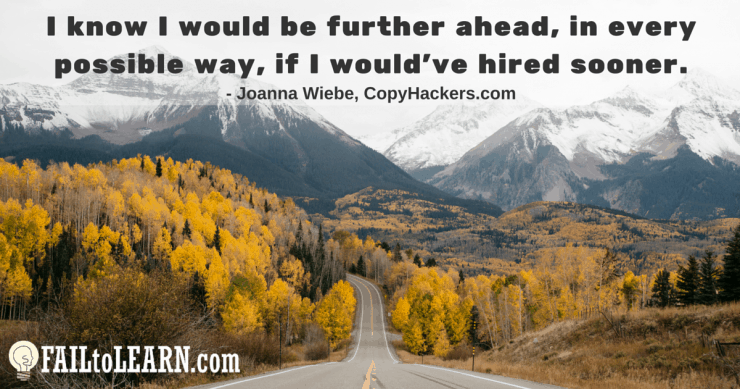 Why she said she’d be much further ahead if she would’ve hired sooner. The challenges faced when training new people. The problem Joanna faced with virtual employees. Why she needed people to be in the same room with her. Why saying, “Forget it! I’ll just do it myself,” is a garbage attitude to hold. What shows inexperience when hiring and training people. How not bringing on people kept her from producing as much as they wanted. Why Copy Hackers is based on courses and not client work. Why email is important for selling courses. 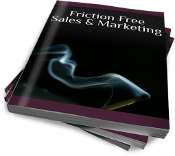 The challenge to keep your list engaged between product launches, and what she’s done to fix it. Why it’s important to have evergreen products. The 3 questions every growing business owners needs to step back and ask about their business, before things go bad. How to put systems in place, even when it’s hard. Why she said her team is amazing, despite her challenges training them. How Joanna screens and brings on new people now, and how it has changed the way they operate. Why product promotion is often more important than product creation. How she’s gone from hiring on “gut instinct” to building a process that filters better candidates. How she’s more aware of her flaws when hiring. How Airstory will change the way you write. Download Joanna’s tips in the 1-Page Quick Action Sheet for this episode here.